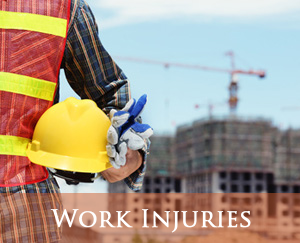 Experienced New Jersey Workers’ Compensation Lawyers. Fighting for your Rights and ensuring you get just compensation! Guberman, Benson & Calise’s workers’ compensation practice is statewide and we have, over the past 25 years earned our reputation for excellence by representing every client as skilled and dedicated workers’ compensation lawyers. Workers’ compensation (sometimes referred to as “workmans’ compensation”, “employment compensation”, or “workers’ comp”) provides workers with compensation when they are injured at work, while performing work offsite, or while engaged in a work-related activity. The New Jersey Workers’ Compensation Statute also provides death benefits to dependents of workers who have died as a result of their employment. Contact us today and we will set up and appointment so we can evaluate your case. We can also advise you if we believe you are entitled to bring an action against a third party. We will also discuss your medical treatment and if the carrier is refusing to allow treatment, we will attempt to get the treatment authorized, or file the appropriate motion. Guberman, Benson & Calise is always striving to get you the settlement you deserve.